To me there is nothing better than flipping through a good sewing book or magazine. Don't get me wrong I pinterest like the rest of you, maybe even more than; but when you can get away from the screen and get inspired by a vintage book or a well thought out magazine I think that's magical. 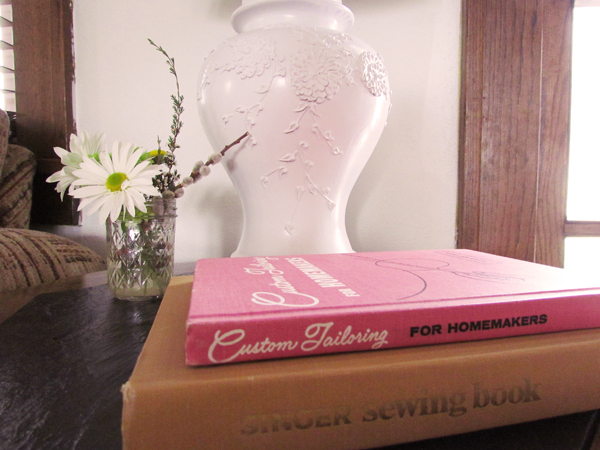 Here is why I prefer vintage sewing books, there are no short cuts! If I want a well tailored garment I have to, well, tailor it. It's a reminder to take my time, think through my process and detail before I jump in. The diagrams are simple looking, it doesn't hinder my creative process by getting stuck on a certain fabric pattern, or design. My other learning source is BurdaStyle Magazine. I've belonged to the website for a couple years now, but only as of last year did I start sharing my stuff. I just found out they have a magazine (how daft, right?) but it is seriously the best purchase I have ever made. for $7.50 an issue you get an average of 54 patterns. That is 54 patterns a month! you couldn't even buy a sewing book with that many patterns! If you are looking for a good sewing magazine, get this one!